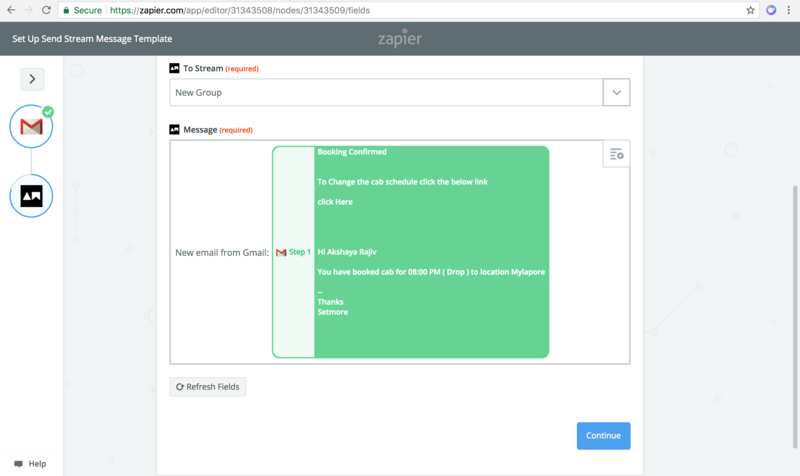 Zapier allows you to connect apps to help you collaborate effectively. 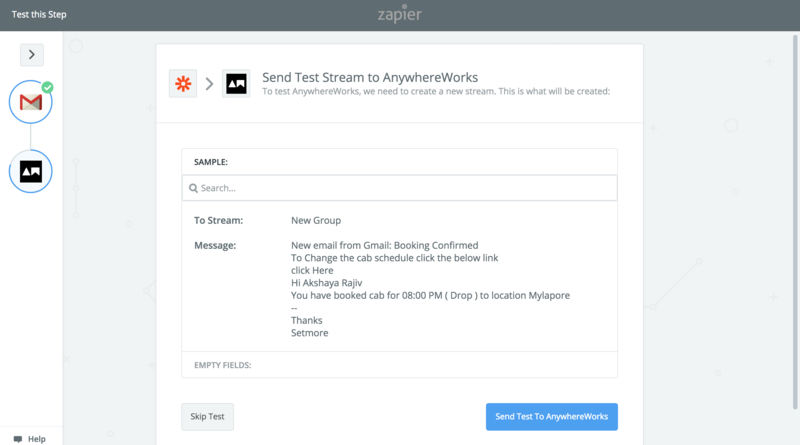 AnywhereWorks integrates with Zapier allowing you to import data from the other apps and to stay notified 24*7. With this integration,your team communication app becomes a platform that receives activity alerts of other apps you work with. 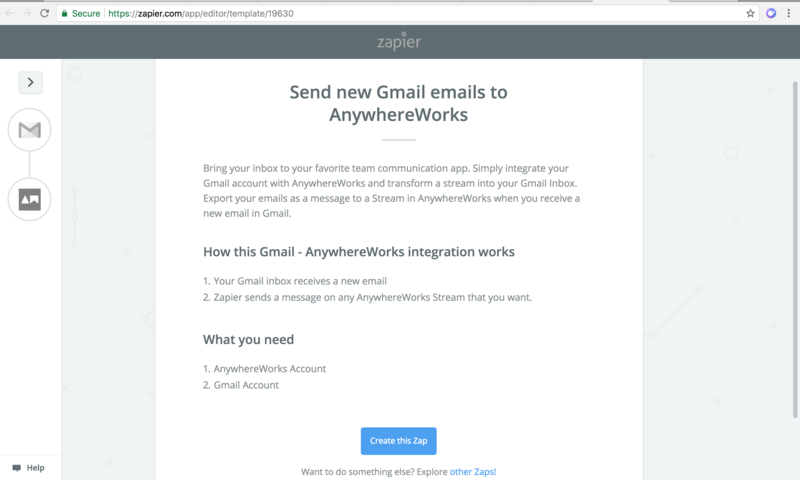 The integration lets you connect AnywhereWorks with hundreds of other apps listed on Zapier. First, Log into your Zapier account and search for AnywhereWorks in the App Directory. 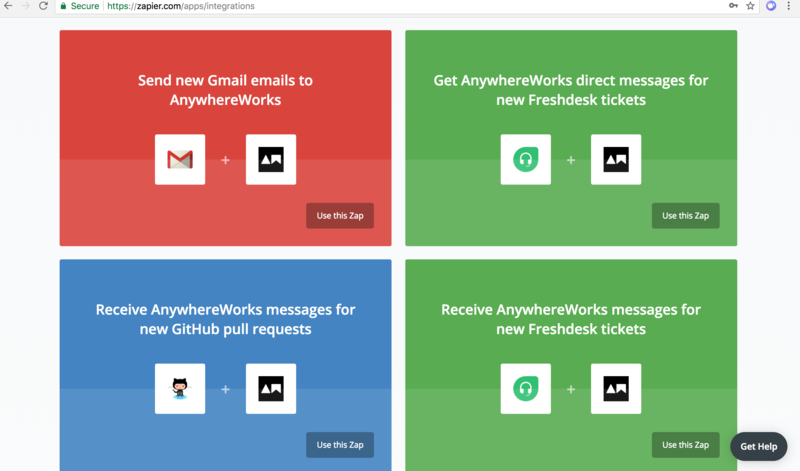 Select any other app from the directory to integrate with AnywhereWorks. Click on the Use this Zap button to proceed with the integration. 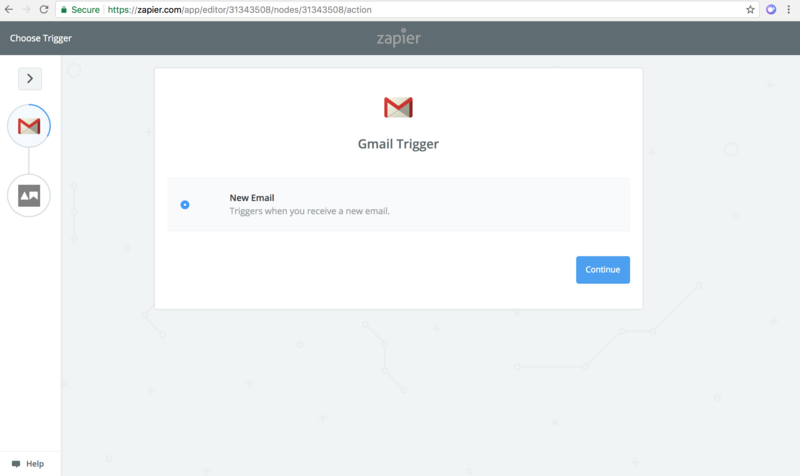 You will be directed to Zapier’s integration window. 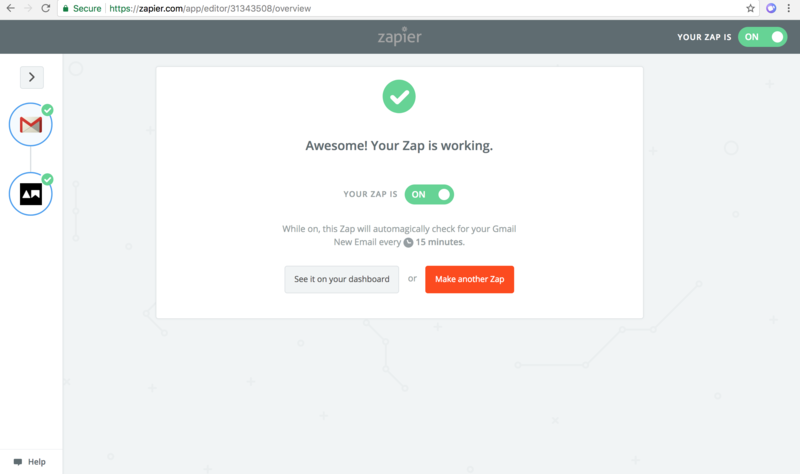 Click on the Create this Zap button to proceed. Here, let’s take Gmail to be the trigger app. You can specify a trigger event from the drop down list or go with a default one. 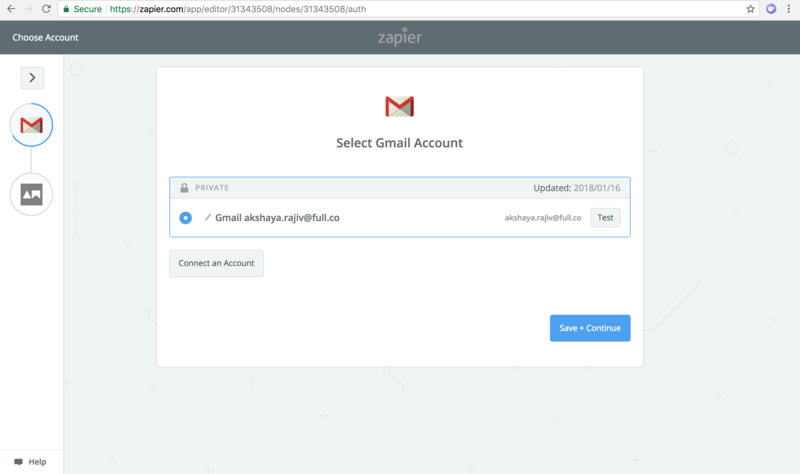 Log into your Gmail account from this window and connect with Zapier. Click on the Save + Continue button to define the Action in AnywhereWorks. Follow the instructions and test this step. 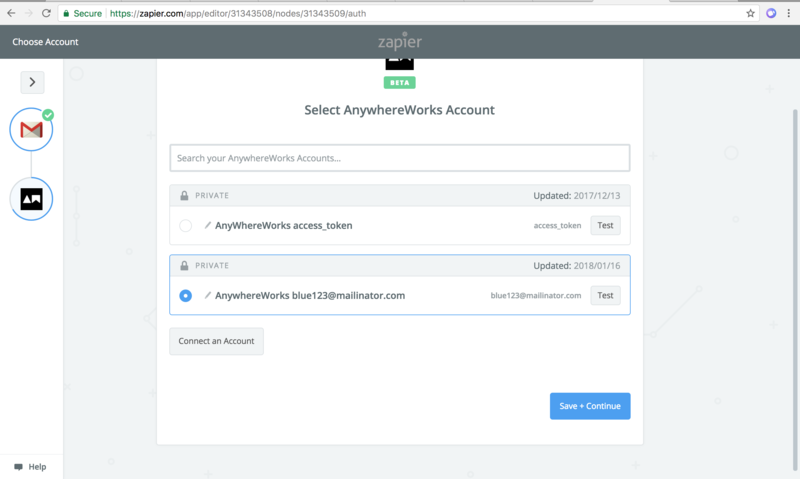 Enter your AnywhereWorks credentials to connect it with Zapier to automate data flow between the apps. Click on Save + Continue to proceed. You will be prompted to the next window to select the Stream to which the data/alert will be posted. Choose a Stream in AnywhereWorks that you are a part of from the drop down list. Click on the Continue button to proceed. You can either test this template or skip this step. In the final step turn on the Zap to start the flow of data to AnywhereWorks. Repeat the same steps to make another Zap and to diversify to redefine how AnywhereWorks keeps you connected with your business.